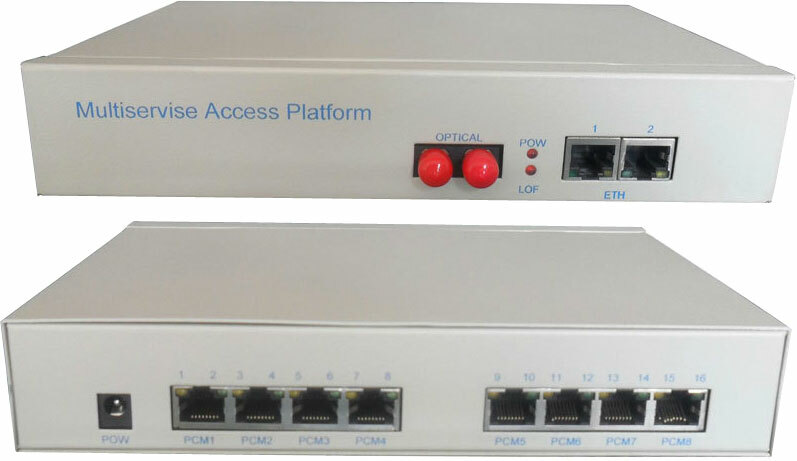 16 channels telephone optical multiplexer is a optical transmission equipment to transmit the telephone via fiber .This equipment used by ultra-large-scale integrated circuit design, simple appearance, easy installation and maintenance-free. Stable performance advantages apply to all major telecom providers, government and enterprises.Various channels telephone can be transmitted directly via fiber which can solve the telephone transmission problem for marginal customer . It adopts the digital multiplexing technology with has powerful chip. And it integrates most all the digital logic function. So it can increase the performace and reduce the cost of product. Excellent performance, stability and reliability, low power consumption, high integration, small size, easy to install and maintain. With small size, attractive appearance, and easy for installation and operation.